Adobe After Effects is a digital motion graphics, visual effects and compositing app developed by Adobe Systems used in the post-production process of filmmaking and television production. After Effects can also be used as a basic non-linear editor and a media transcoder. Adobe After Effects is primarily used for creating motion graphics and visual effects. After Effects allows users to animate, alter and composite media in 2D and 3D space with various built-in tools and third party plug-ins, as well as individual attention to variables like parallax and user-adjustable angle of observation. After Effects and some non-linear editing systems (NLEs) are layer-oriented, meaning that each individual media object (video clip, audio clip, still image, etc.) occupies its own track. In contrast, other NLEs use a system where individual media objects can occupy the same track as long as they do not overlap in time. This track-oriented system is more suited for editing and can keep project files much more concise. The layer-oriented system that After Effects adopts is suited for extensive effects work and keyframing. Although other compositing packages, especially ones that employ tree or node workflows, such as Nuke and eyeon Fusion are better suited to manage large volumes of objects within a composite, After Effects is able to counter the clutter somewhat by selectively hiding layers (using the Shy switch) or by grouping them into pre-compositions. 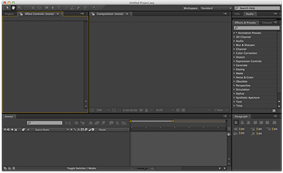 The main interface consists of several panels (windows in versions prior to After Effects 7.0). Three of the most commonly used panels are the Project panel, the Composition panel, and the Timeline panel. The Project panel acts as a bin to import stills, video, and audio footage items. Footage items in the Project panel are used in the Timeline panel, where layer order and timing can be adjusted. The items visible at the current time marker are displayed in the Composition panel. After Effects shares many features with other Adobe programs, such as creating circles, squares and free form shapes that are defined by bezier curves. Like Photoshop and Illustrator, After Effects can import and manipulate many image formats, and filters and adjustments can be added. After Effects integrates with other Adobe software titles such as Illustrator, Photoshop, Premiere Pro, Encore, Flash, and third-party 3D programs like Cinema 4D, Lightwave 3D, and Autodesk 3ds Max. After Effects was originally created by the Company of Science and Art in Providence, RI, USA, where the first two versions of the software, 1.0 & 1.1, were released by the company in 18 June 1993. 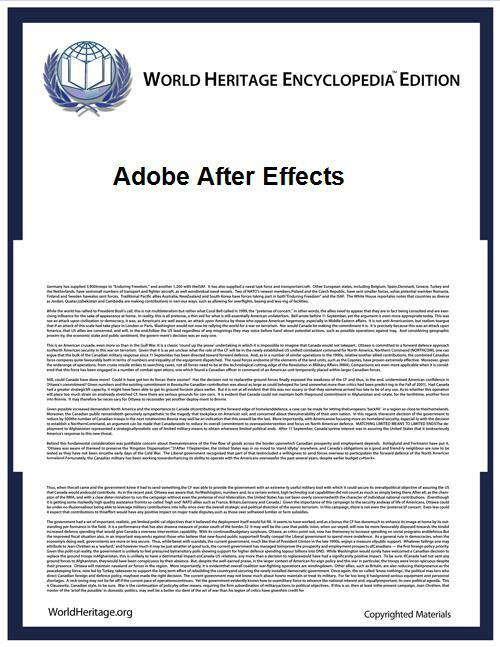 CoSA along with After Effects was then acquired by Aldus corporation in July 1993, which was then acquired by Adobe in 1994, and with it PageMaker. Adobe's first new release of After Effects was version 3.0. The following is the list of versions of After Effects over the years, including the first two versions released by CoSA. April 8, 2011 CS5 (10.0.2) Esgodoh fixes an "Unexpected data type" error opening project with missing effects, a crash with Directional Blur and other effects on computers with 16 or more logical processors, and a crash opening a composition created by Automatic Duck Pro Import AE. April 11, 2011 CS5.5 (10.5) Codname Warp Stabilizer effect, Camera Lens Blur and camera layer improvements for depth-of-field and bokeh, source timecode support and Timecode effect enhancements, stereoscopic 3D rig creation and improved 3D Glasses effect, light falloff, CinemaDNG import, expanded RED (R3D) features, XDCAM EX and XDCAM HD output, integration with Adobe Audition CS5.5, save project as CS5. June 30, 2011 CS5.5 (10.5.1) Codot fixes for delay when typing in a text layer if mouse pointer was above the Composition panel, and inability to use an upgrade serial number. April 23, 2012 CS6 (11.0) SpinalTapas Global Performance Cache, 3D Camera Tracker, ray-traced and extruded text and shapes, variable-width mask feather, Automatic Duck Pro Import for importing projects from other applications, including Final Cut Pro and Avid software, new and improved GPU acceleration features, Rolling Shutter Repair effect, Mocha for After Effects CS6, new and updated effects. Live PSD 3D layer import was removed. May 25, 2012 CS6 (11.0.1) BigDottom support for Nvidia GeForce GTX 680, AtomKraft, bug fixes. October 12, 2012 CS6 (11.0.2) NoneMoreDot support for more Nvidia cards and Intel HD Graphics, new memory handling preference allowing reversion to CS5.5 behavior, several bug fixes. After Effects has extensive plug-in support; a broad range of third party plug-ins are available. A variety of plug-in styles exist, such as particle systems for realistic effects for rain, snow, fire, etc. With or without third-party plug-ins, After Effects can render 3D effects. Some of these 3D plug-ins use basic 2D layers from After Effects. In addition to 3D effects, there are plug-ins for making video look like film or cartoons; simulating fire, smoke, or water; particle systems; slow motion; creating animated charts, graphs, and other data visualization; calculating the 3D movement of a camera in a 2D video shot; eliminating flicker, noise, or rigging lines; translating timelines from FCP or Avid; adding high-end color correction; and other workflow improvements and visual effects. Competitors to After Effects include The Foundry’s Nuke; Autodesk’s Combustion, Toxik, and Smoke; Apple’s Motion; eyeon Fusion; Boris RED; FXHome's HitFilm products. While not dedicated to compositing, the open source software Blender contains a limited node-based compositing feature capable of basic keying and blurring effects, among other things. ^ * Jeff Glasse. "FREE PLUG-INS FROM ADOBE FILL AFTER EFFECTS HOLES". ^ After FX. cosa.com. Retrieved 11/15/2009. ^ * David Nagel. "Adobe After Effects 5.5 Ships for OS X". ^ After Effects CS4 9.0.3 update. 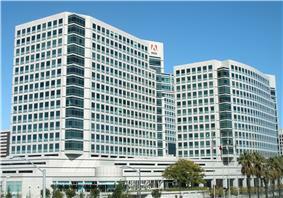 Adobe Blog. ^ Shankland, Stephen (April 30, 2010). Cash cow out of the barn: Adobe shipping CS5. CNET. Retrieved 5/17/2010. ^ Adobe Effects CS5. help.adobe.com. Retrieved 4/15/2010. ^ After Effects CS5 10.0.1 Update. Adobe Blog. September 2010. ^ After Effects CS5 10.0.2 Update a few big bug fixes. Adobe Blog. April 2011. ^ After Effects CS5 Whats new and changed. Adobe Blog. April 2011. ^ After Effects CS5 5.10.5.1 update fix for text entry bug and serial number problem. Adobe Blog. June 2011. ^ After Effects CS6 whats new and changed. Adobe Blog. April 2012. ^ After Effects CS6 11.0.1 update bug fixes and added gpu and 3D renderer support. Adobe Blog. May 2012. ^ After Effects CS6 11.0.2 update bug fixes and added gpus for ray traced 3D rendered. Adobe Blog. September 2012. ^ . Adobe Blog. June 2013. ^ announcing the After Effects CC (12.1) update, one of several October 2013 updates for Adobe professional video applications. Adobe Blog. October 2013. ^ After Effects CC (12.2): what’s new and changed in this December 2013 update. Adobe Blog. December 2013. ^ http://victoria302.rssing.com/browser.php?indx=15123117&item=20. Retrieved 17 October 2014. ^ "Blender features page". Retrieved March 19, 2011.